Just finished the demo. Will be purchasing but am not sure whether I'll buy the CE or wait for the SE. The main reason is that the game looks like it will be fairly short. Not sure if I want to risk a disappointing/missing SE ending, or if I want to risk paying the CE price for only a couple hours of play. Storyline, graphics and sounds - I can't speak to the music as it was switched off - are all very good. There are two levels of play to choose from. Hints are specific and helpful. Navigation and controls are smooth enough that they are unnoticeable. There is a focus on the HO scenes, but they are fairly easy to navigate and offer some interactivity. Some HO scenes require the player to replace objects, which keeps them from being quite as repetitive so far, even though the scenes are replayed. Puzzles and actions are mostly pretty standard, but there seems to be a good mix of puzzle types. Difficulty level is fairly easy but not boring. The best part is that the game offers different ways of interacting with objects as it progresses. I was not a fan of the first in this series, partly because of a frustrating Hint system and routine, repetitive gameplay, but mostly because of the rushed ending of the SE version. The first two items are definitely much stronger in the trial for this game - here's hoping for a full ending as well. Excellent game and a dual release! This is an excellent game--good follow-up for the first one. There is a bit too much hand-holding ("I can use this to xxxxx" before you've even seen xxxxx) but not enough to keep me from purchasing the game. I love the twist on the scenes where you put things into it instead of taking them out! Thanks to the devs and BF for making it a dual release so I can buy the Mac version right away! One of the better voice overs and graphics is great. HOG are pretty easy and the puzzles are not hard either. Different HO screens which makes it different. Fast hint button if you need it. Good game. Light SF story adventure with HOG overtones for the fun of it. The art is wonderful and made me feel that I was exploring a real place that I eventually became familiar with. I'm pretty sure I'll play this again. I really enjoyed it. Lots of areas to cover (I love the to-ing and fro-ing games) and the length was decent for this type of game: about 4 1/2 hour for the main game. I admit to skipping about half the puzzles so, it will be quite a bit longer for puzzle-heads. Firstly the graphics in this game were amazing - just beautiful. Some very talented people out there. The hidden object games and puzzles were a little too easy, and you had the added bonus of collecting postcards [although the relevance of these to the game i have no idea], which were also easy to find - even though i did miss one somewhere LOL. You also collected a small number of 'achievements' through the game. The voiceovers were good - no annoying voices. The music was unmemorable, but not irritating. The game was a little on the short side i thought. The bonus chapter, also a little on the short side, ran okay with the storyline, but wasn't a necessary part of it. The puzzles in the bonus chapter were slightly more challenging. The game itself didn't really offer anything more than other CE games, but for some reason it kept me interested right through to the end. Definitely one of the better ones around. This was a fun game. I enjoyed the storyline and the graphics are excellent while the music was very pleasant. I enjoyed going from room to room. I thought the voice overs were excellent. 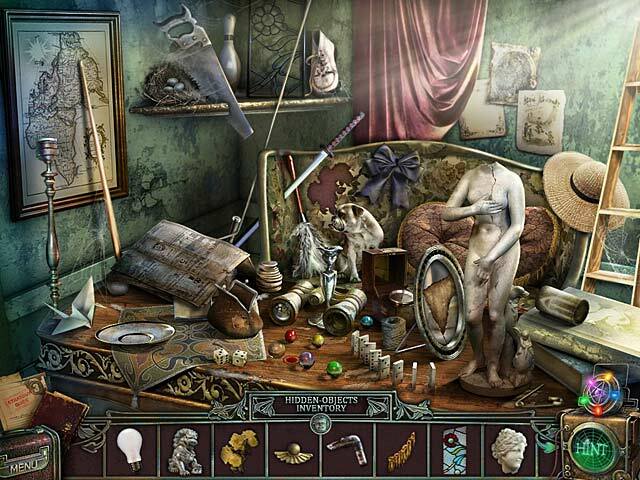 The level of challenge was good along with the hidden objects scenes. .I think that this game is fun with a dark and eerie atmosphere to it.Beautiful graphics non grainy sounds are on par with the dark theme of this game.The challenges were different and entertaining as the HOG,whereas in other games you just finished the HO and you go into another room you have another HO right off the bat which can get annoying and repetitve.Storyline of this game is mysterious and it definitely captures your attention.This definitely worth the CE price for any collectors. 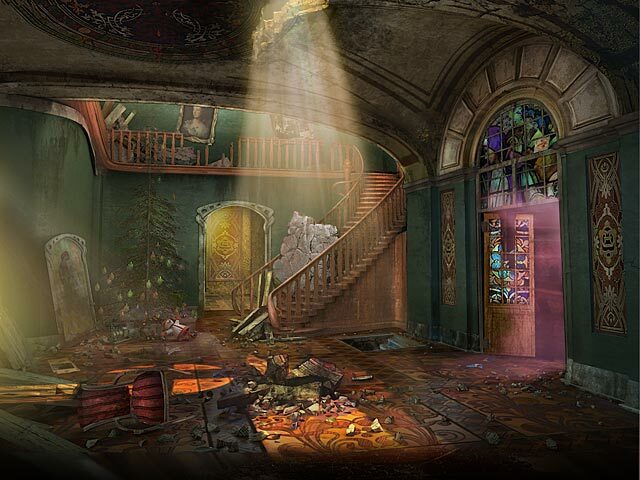 Mix of Hidden Object and adventure, it's an interesting story with lots of areas to explore. By the end of the demo my inventory was chock full of items I needed to place somewhere... LOVED it. 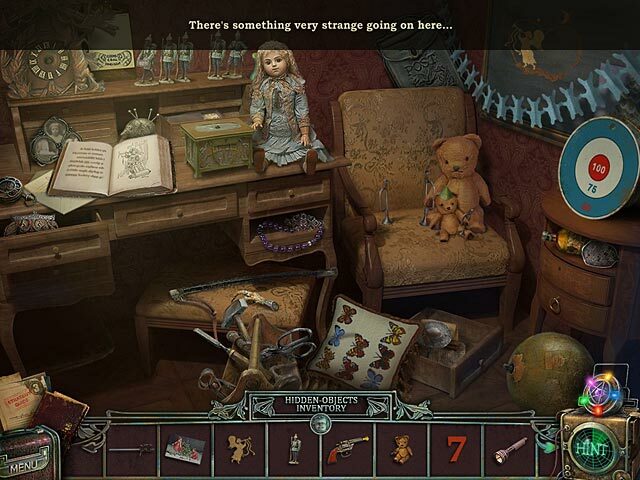 I came across a hidden object area from time to time, but they made some of them different and interesting enough to keep me entertained. I find that if I am just clicking all over the place, then I'm aggravated at finding items. In this game, I wanted to find each piece. Puzzles I came across were not hard, but enjoyable. Good job developers! WOW ! Enthusiastic story, excellent game!!! Immersive and very interesting story: helping to save the special children who disappeared in the explosion that occurred at the orphanage left me spellbound. Philip, the lonely musician, Robert, the fighter and his toy ... so, free trial ended,... I had to buy immediately! Very well done graphics, excellent voice over, great sound, intriguing characters, impressive atmosphere. Throughout story, you will gain "powers" that help you move on. Right amount of interactive HOS, not too challenge, but nice. Once you find the objects, later, in another scene, will put them in place. Some mini games are new and good challenging, others are well known and easy. Do not forget to collect the postcards! Very interesting story: helping to save special children who disappeared in an explosion at the orphanage Beautiful graphics, excellent voice over, great sound, intriguing characters, enthralling atmosphere. Throughout the story, you gain "powers" that help you move on (loved the one to increase the size of objects). Two types of HOS - the normal find an object and a put the objects in their rightful place. The HOS are not too challenging. There are some new type mini games and the usual. They range from easy to challenging, Do not forget to collect the postcards from each scene. Finished the demo in 40 minutes - will probably buy this one.